Pete Marriott was Born in East Flatbush within the borough of Brooklyn (USA) and surrounded himself with music since youth. 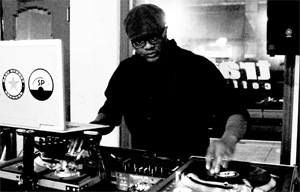 At the age of 15, Marriott began his professional music career with the The Boogie Boys 1987 track "I'm Comin'" (Capitol), A year later, he found himself producing The Choice MC's "Let's Make Some Noise" b/w "This Is The B-Side" (Idlers), the latter featuring a young Chubb Rock as the track's narrator. The Marriott-produced "This Is The B-Side" became an immediate cult favorite among DJ's who would make it an important part of their DJ sets for years because of the sound that many feel was ahead of its time. The song was also sampled by, among others, Soul Hooligan, Moby and Photek. I was a common fixture in various NYC recording studios as a multi-instrumentalist, sound designer and producer of major and indie releases I also produced "Me Done", a underground classic by legendary Slits frontwoman Ari Up, and also directed the music video in which I made a cameo appearance. I am currently expanding my new Seattle based studio, The Tool Shed, a hybrid studio which incorporates vintage analog and state of the art digital recording technology. The Tool Shed is also headquarters of my production company, Illogical Industries, LLC. Where's I'm producing several projects including his forthcoming concept album entitled The Uncomfortable Discomfort of Being Comfortable. A friend of mine introduced it to to me. When I realized how I could use it as a sound design and production tool I became hooked instantly. Aside from record production, I also do exclusive sound design for other record producers, so having something that is as fast and powerful like FL Studio makes my professional life a lot easier thanks to it's intuitive design. My official websites are currently in the process of being redesigned and consolidate so it will cover my entire discography. For now I rather just post my websites, facebook page and my artist page at my label's website.